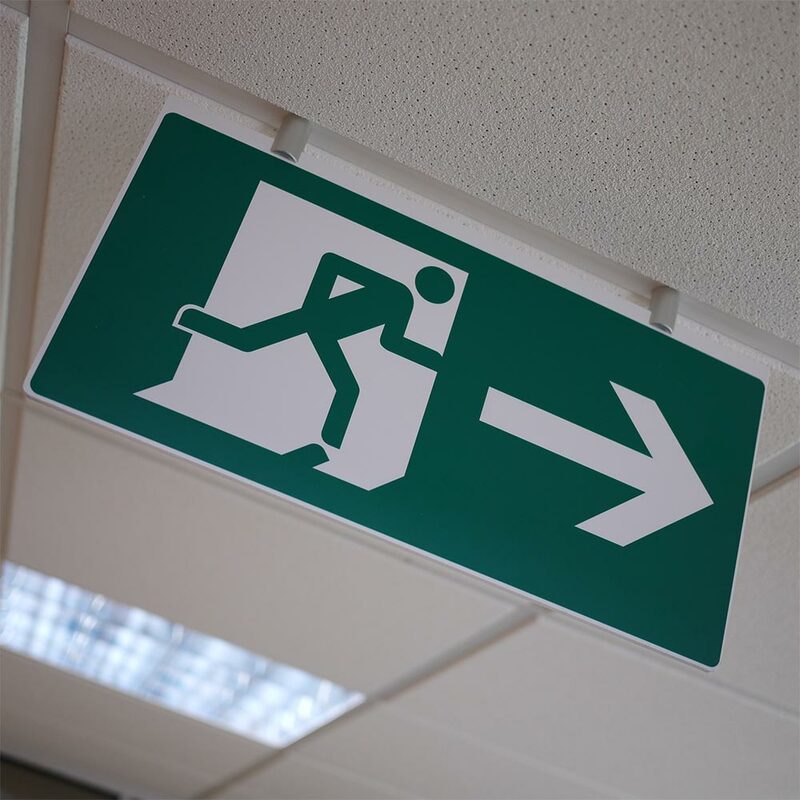 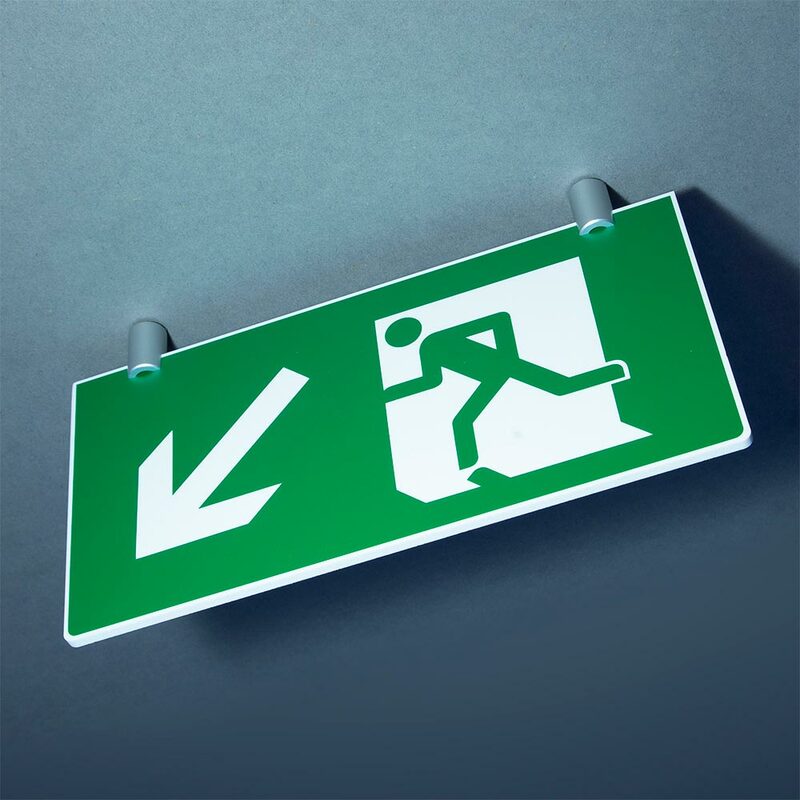 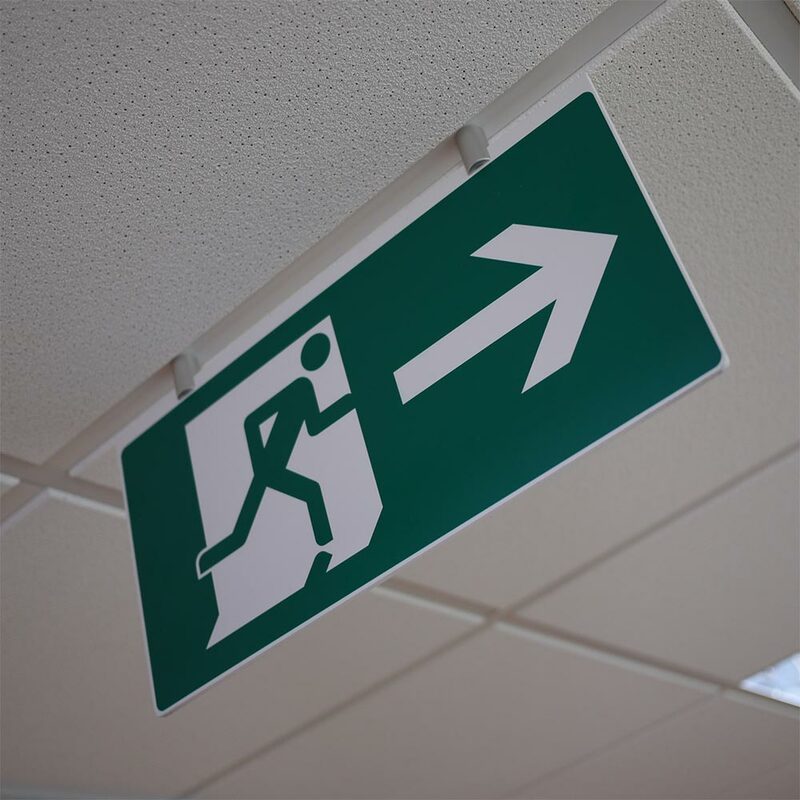 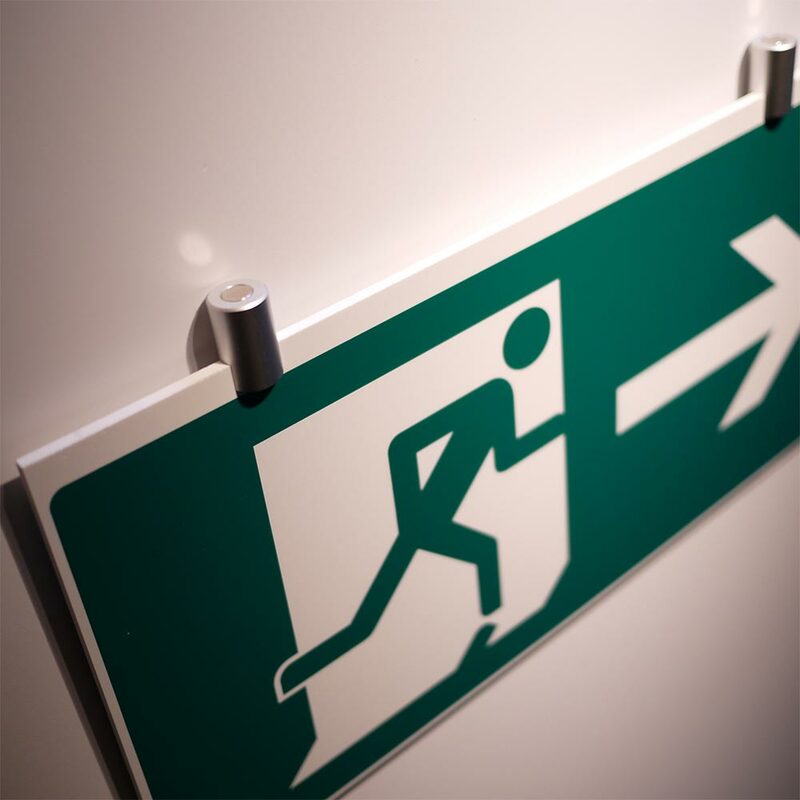 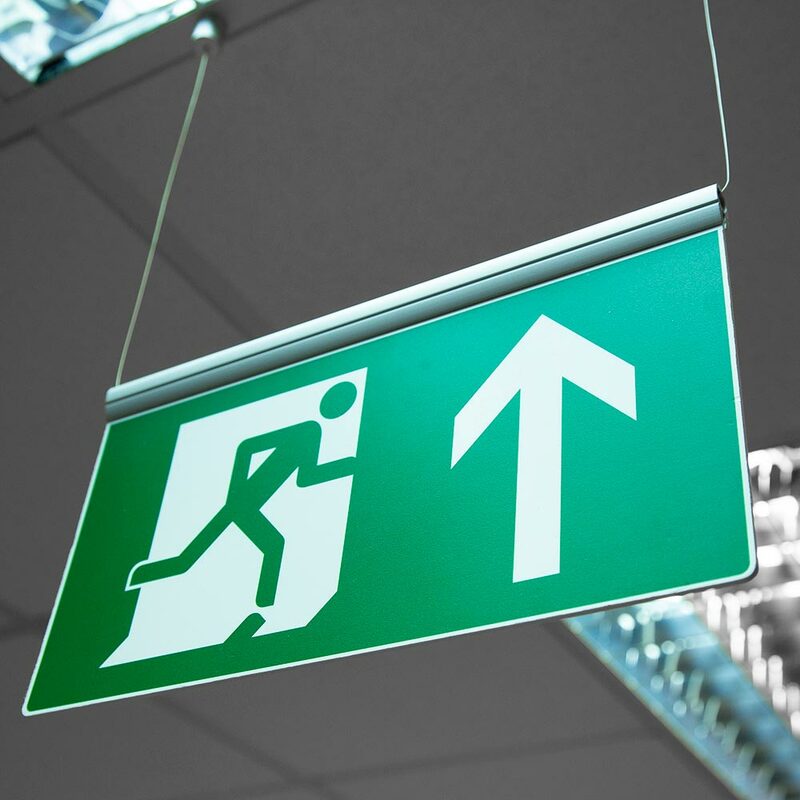 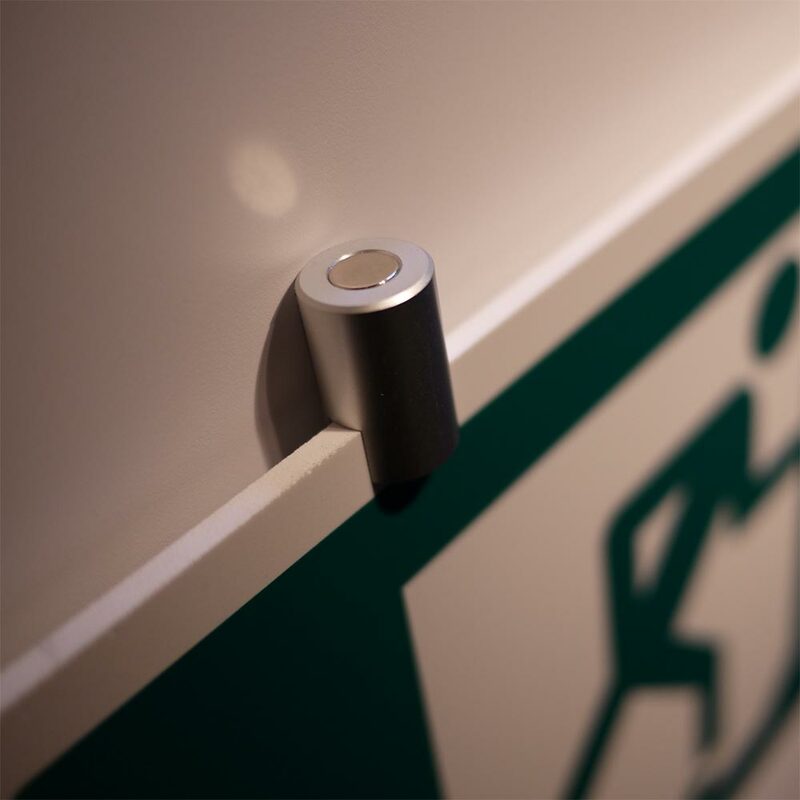 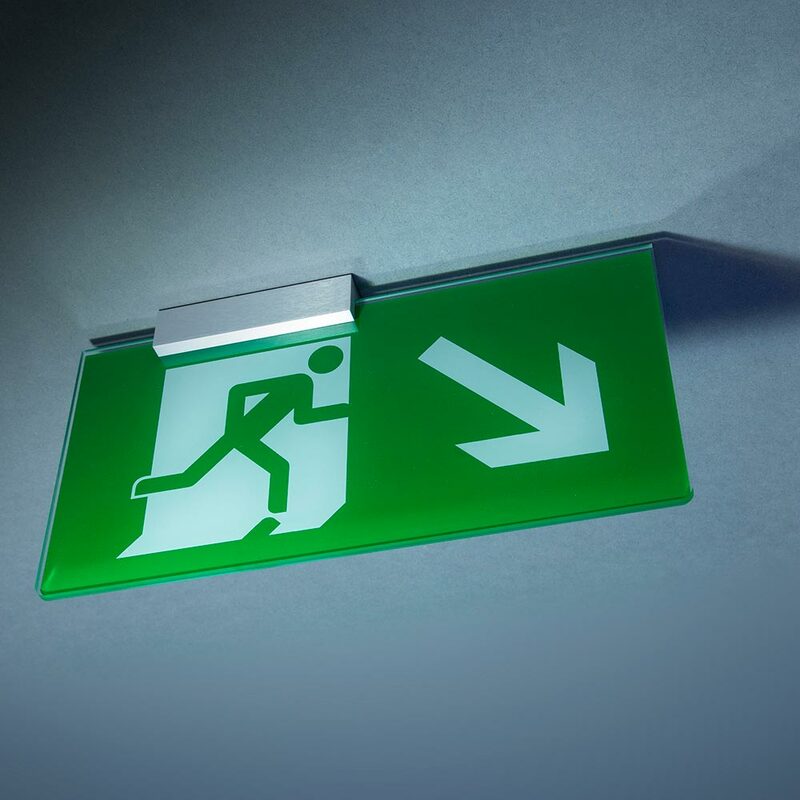 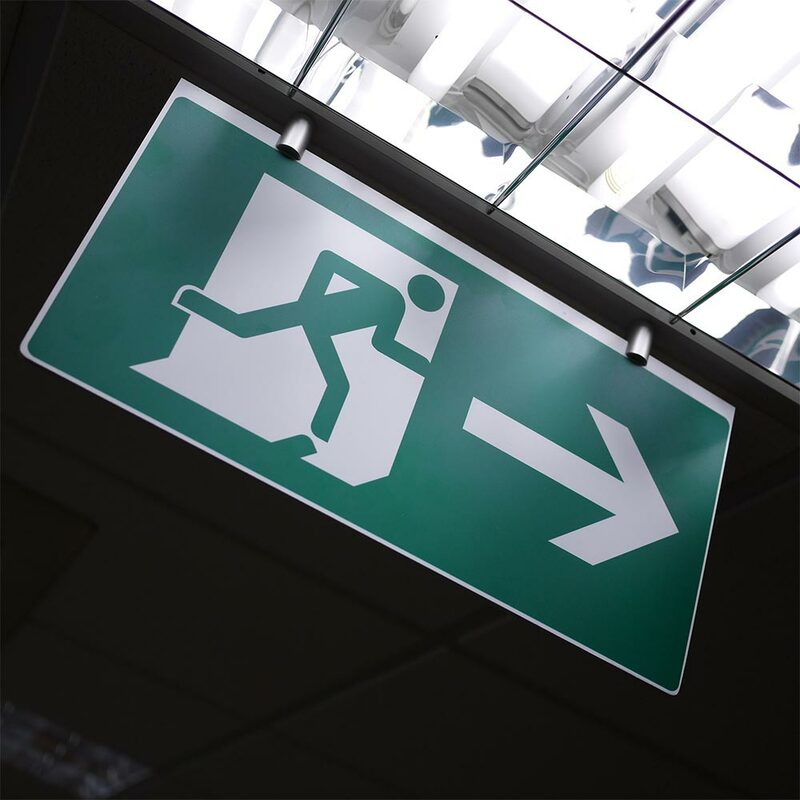 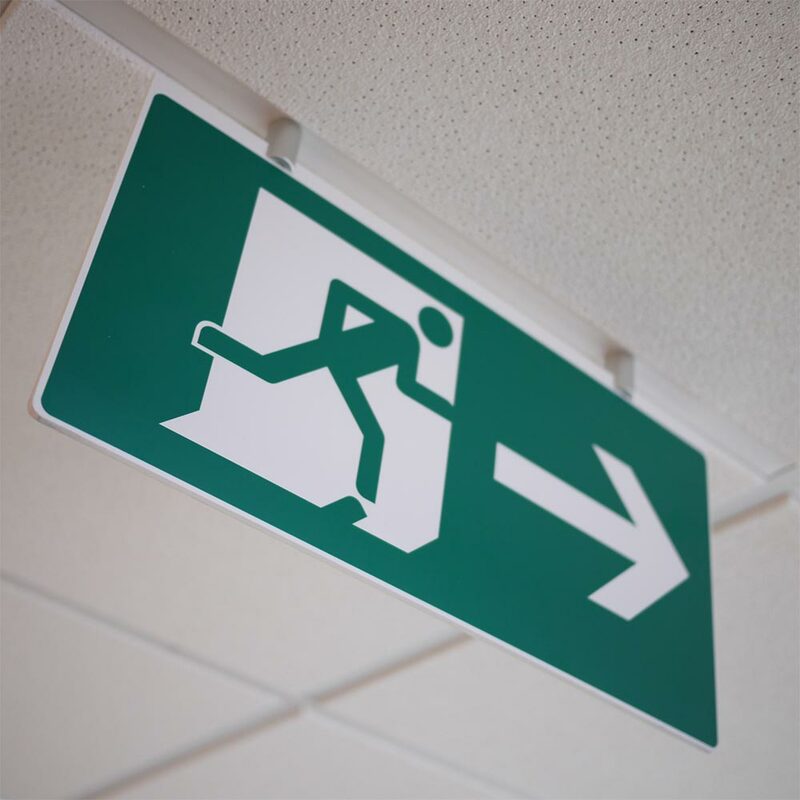 FE MagFix is a tough, elegant and cost-effective fire escape sign, compliant with the ISO 7010 standard, soon to be EN (European Norm 7010 regulations). 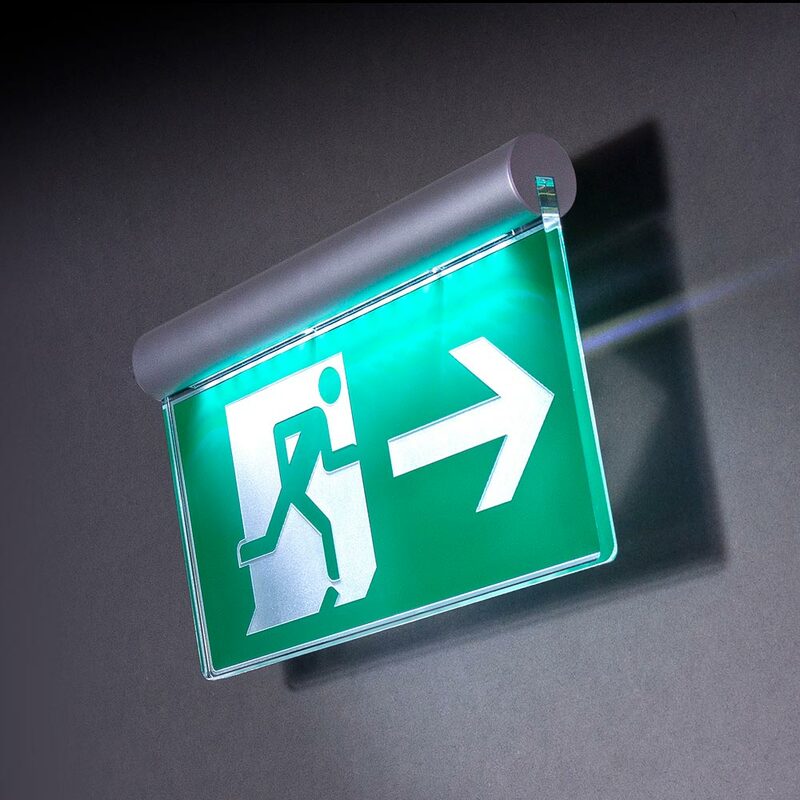 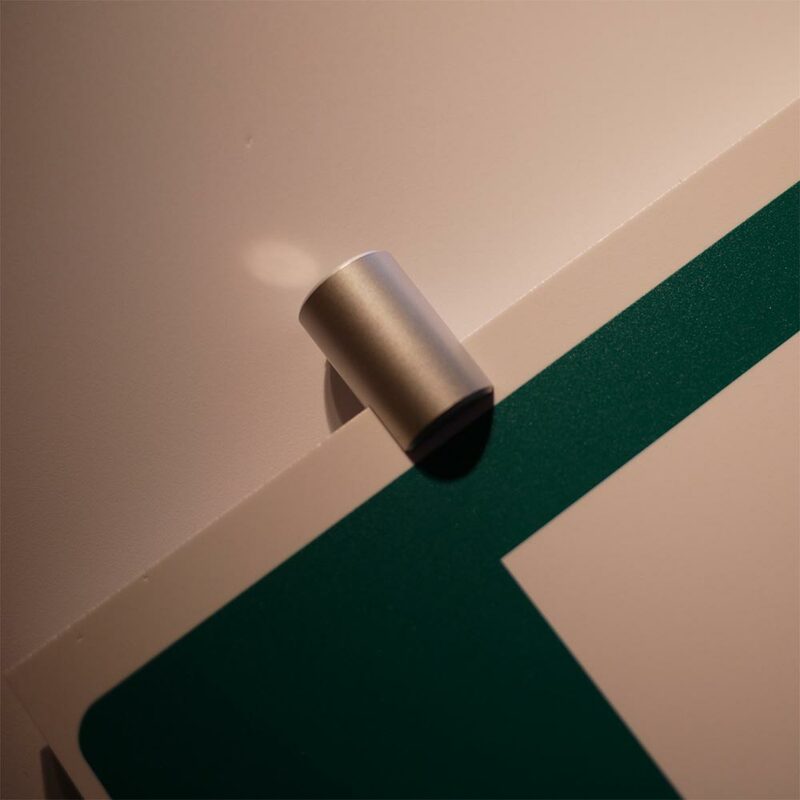 FE Magfix is a heavy duty magnetic support fixing for ceiling-suspended fire escape signs. 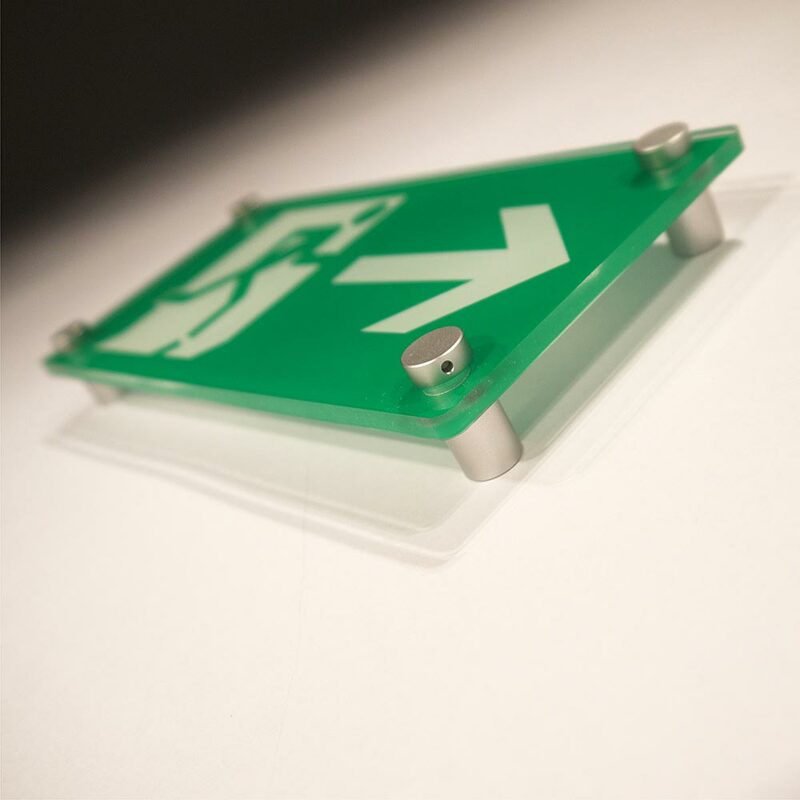 Suitable for demountable fire signs and ideal for Cat A fit outs where the position of fire signage may change upon Cat B tenant improvements. 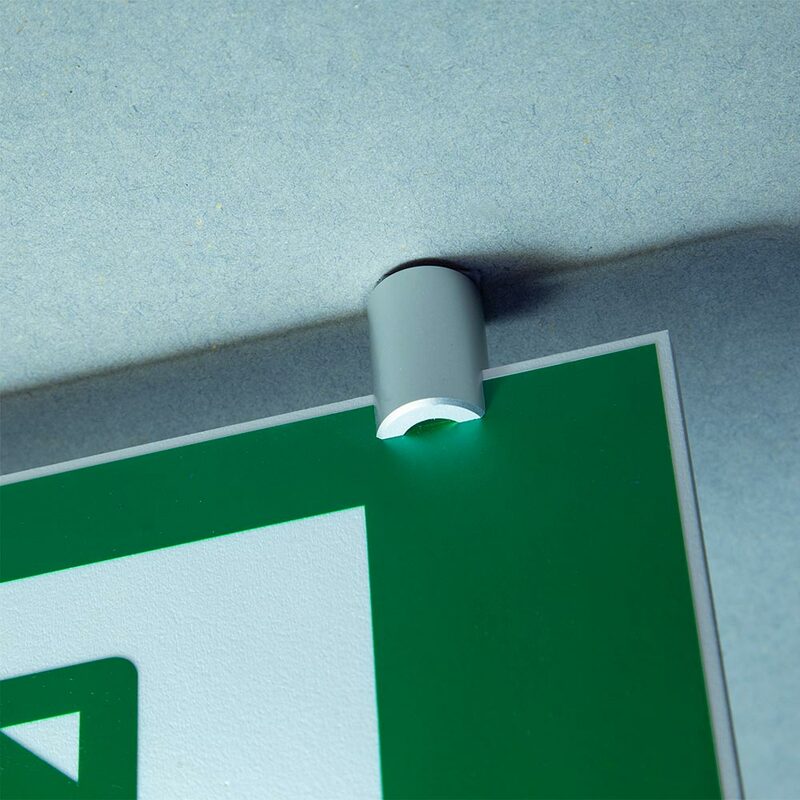 Comprises a pair of 30mm long 19mm diameter satin anodised aluminium ceiling fixings, supporting a printed Foamex PVC panel. 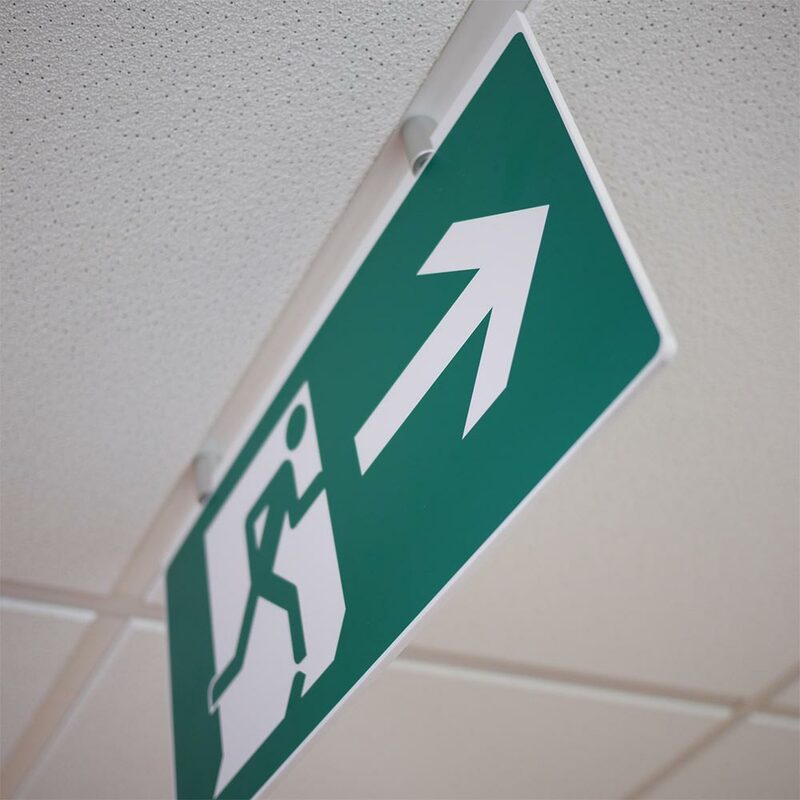 NB MagFix uses rare earth heavy duty magnets and works with all types of ferrous metal suspended ceiling grids and tiles.